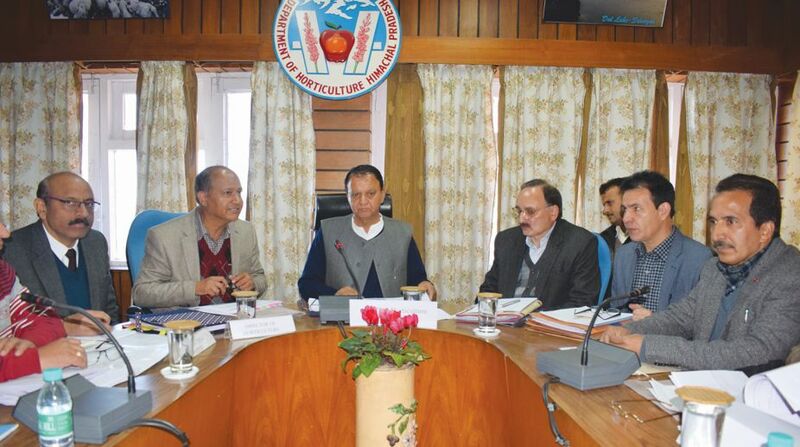 Irrigation, Public Health and Horticulture Minister Mahender Singh Thakur said that the horticulture project of Rs 1,688 crore and integrated mushroom development project of Rs 423 crore will bring transformation in economy of the farmers of Himachal Pradesh. He said that apples are grown on a large scale in the upper areas of the state, whereas, there are immense possibilities for the production of mango, citrus and stone fruits in lower areas. He said that effective implementation of projects will be ensured, which would be helpful in achieving the target of doubling the income of farmers by 2022. The Horticulture minister was reviewing the World Bank-funded horticulture projects and plans, here on Monday. He said that the World Bank (WB) team is visiting the state from 18 to 27 September, 2018 to study the feasibility of these projects. For this, he directed the officers of the Department to complete all the formalities of the first phase. He said that the Secretary level talks will be held on 15 September in Shimla. He said that detailed directions had been issued to the concerned authorities for effective implementation of the projects.